A Centralized vs Decentralized Network Topology, what are they and how are they different? The network topologies can be thought about as a digital map of the nodes(users) connected to a network, these topologies lay out the basic structure of how the data has to flow from nodes to nodes in a network. 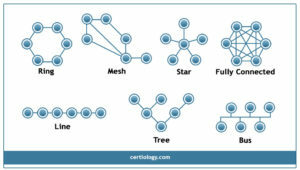 A Centralized topology is the arrangement of various network elements used in data transmission and formation of interconnections like nodes and links with each other. Below mentioned are the few basic arrangements and types of network topologies. These are the basic network topologies that are followed by a centralized network, here you would see a central server distributed throughout the network via the nodes(users). These nodes transmit signals(information) through the selected topology which would be conducive enough for the organization’s requirement. If you know the basics of network topologies or you can refer to the article on the network topologies above, moving on to the decentralized topologies that exist on Blockchain wouldn’t be difficult to understand. A blockchain as we know is a distributed peer-to-peer network where the network is decentralized and the nodes are connected to and rely on each other for the transmission of the data through the network. Imagine how this would look! 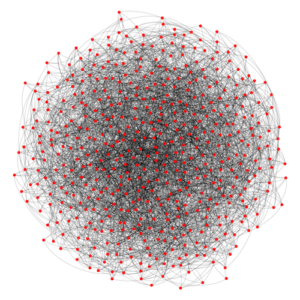 Many visualizations of large networks are “hairballs”. This is a figure showing all the nodes that are connected to each other, the lines that you see at the outer end shows the connection of a node to other nodes, in the centre the nodes are densely connected to each other, there are more nodes present in centre than the outer areas, thus creating a hairball kind of structure. If you take a look at any of the decentralized network you would get such hairball like structures at different shapes, meaning the structure of the network would follow the same as a hairball structure but the density of the network would depend on the nodes, how and in what manner they are connected to each other. 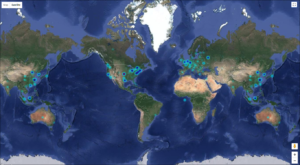 This is the map of the Ethereum nodes that are active in the Ethereum Mainnet(network), in the highlighted locations the density if the nodes connected to the Ethereum mainnet is more as compared to less dense areas. 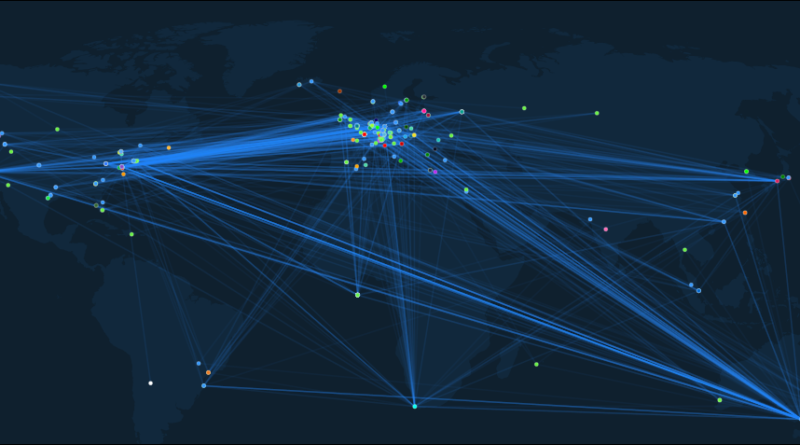 You can also see that there is no centralized location to which all the nodes are connected to, the more highlighted areas does not mean it is a central server kind of thing but the nodes are more active in that particular region. You can watch the live Ethereum Nodes on the Ethereum mainnet here. Similarly, the Bitcoin network is also a decentralized one, remember in case of the centralized topology a central server governs the flow of the data and the topology is set according to it, the best topology that would cater to the requirement would most likely be set up. But in case of a decentralized network, the structuring of a topology is a difficult task as every node can connect to each other, this doesn’t happen in a centralized network. 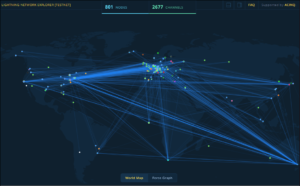 Take a look at a Bitcoin’s lightning network and watch the nodes connected, there is no central server, so there is no obligation for any node to get connected to a central node. Hope this article would have helped you understand how a decentralized network has a different topology as compared to the centralized networks if you have any query regarding the post feel free to reach us!